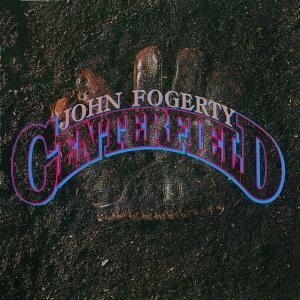 A true solo album in every sense of the word, Centerfield, features John Fogerty writing every song as well as playing every instrument on those songs. 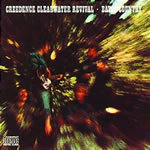 Simple in composition while rich in melody, this comeback album which was his most popular post Creedence Clearwater Revival release. Still, the album was ludicrously marred by a lawsuit in which Fogerty’s former label sued him for allegedly plagiarizing himself. After several years in litigation, Fogerty ultimately won that case and was compensated for all legal costs. 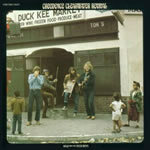 The final Creedence album was Mardi Gras, released in 1972. Fogerty then began a solo career, starting with a 1973 debut where he played covers of mainly country music hits. A second solo album was released in 1975 and, despite weak sales, it yielded Fogerty’s first solo hit, “Rockin’ All Over the World”. The following year, Fogerty finished an album called, Hoodoo, but it was rejected as unsatisfactory by his record company and the master tapes were later destroyed. Fogerty entered into an extended hiatus which lasted the better part of eight years before entering the studio in mid 1984. 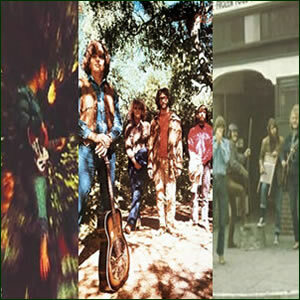 While many of the songs have a definite nostalgic touch, there is a streak of bitterness on this album, especially when directed towards Saul Zaentz, the owner of Fogerty’s former label, Fantasy Record. 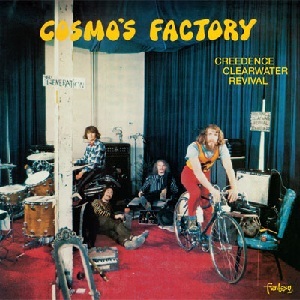 Zaentz sued Fogerty specifically over the opening track, “The Old Man Down the Road”, which he claimed was too similar to the song “Run Though the Jungle” from Cosmo’s Factory (Fogerty displayed the differences between the two songs by playing each live in court). “The Old Man Down the Road” does have an indelible riff with a subtle blend of guitars – acoustic, electric, and slide – along with some classic tremolo effects to make it all so cool. This also features an interesting vocal melody and just the right lead riff to make this all quintessential Fogerty. “Rock and Roll Girls” follows as an accessible pop/rocker which became a big radio hit in its own right. Built on a three-chord, driving rock riff with a rhythm and beat to match, Fogerty’s vocals hit a slight yodel during the verses. Of particular note is the saxophone, where the multi-instrumentalist has a couple of cool leads in between the verses. “Big Train (From Memphis)” is a pure country rocker through and through, so authentic that it sounds like it must be a cover (although its not). The middle third of the album hits a bit of a creative lull. 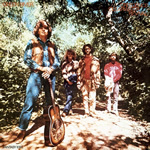 “I Saw It On T.V.” has the flow and temperament of a CCR song with steady, strummed acoustic guitar and nice transitional guitars between vocal lines, which are much more refined than Fogerty’s usual soulful screed. “Mr. Greed” doesn’t quite work as well as some of the other songs, featuring a pure, hard rock riff which heavy guitar interludes in between the lines and sophomoric lyrics. “Searchlight” is a more interesting track which blends classic blues and Bayou country along with some Motown elements all under a heavy rock vocal and drum beat. The title song is upbeat and catchy with a choppy percussion effect leading the way before the full song kicks in with slide guitar, bouncy organ, and thumping bass. Fogerty’s vocals on “Centerfield” are at their finest on this album, even if the lyrics are slightly corny, and the chorus is its most melodic part. “I Can’t Help Myself” is a unique and entertaining track with a pure new wave in beat and effect, especially the multitude of electronic percussion effects. Once again, the vocal melodies carry the day, making it a lost gem of a pop song. “Zanz Kant Danz (a.k.a. Vanz Kant Danz)” closes the album, with Caribbean elements in the intro and interesting beats, guitar riffs and synths throughout. The verse section is almost modern disco and the mid section has an extended percussion section, adding to the overall dance elements of this closing track. Centerfield performed well worldwide, topping the charts in several countries including the USA. It also, surprisingly, reached the Top 10 on the American Country Albums chart. Fogerty followed-up the album with Eye of the Zombie in 1986, which was much less successful and led to another extended hiatus from music.